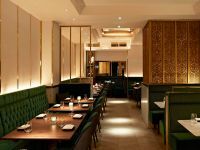 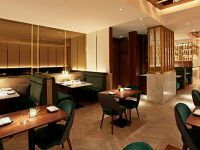 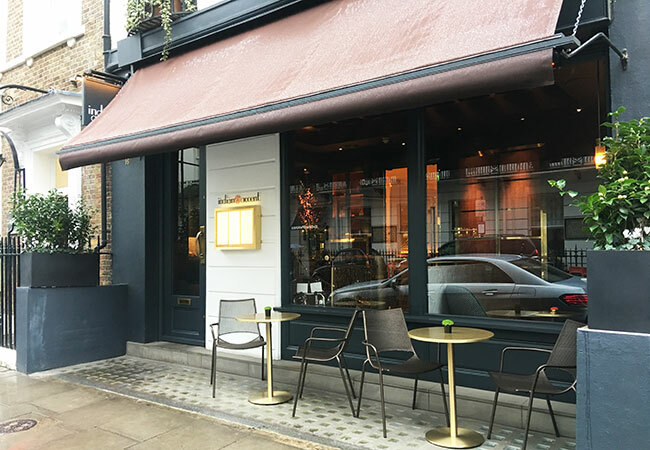 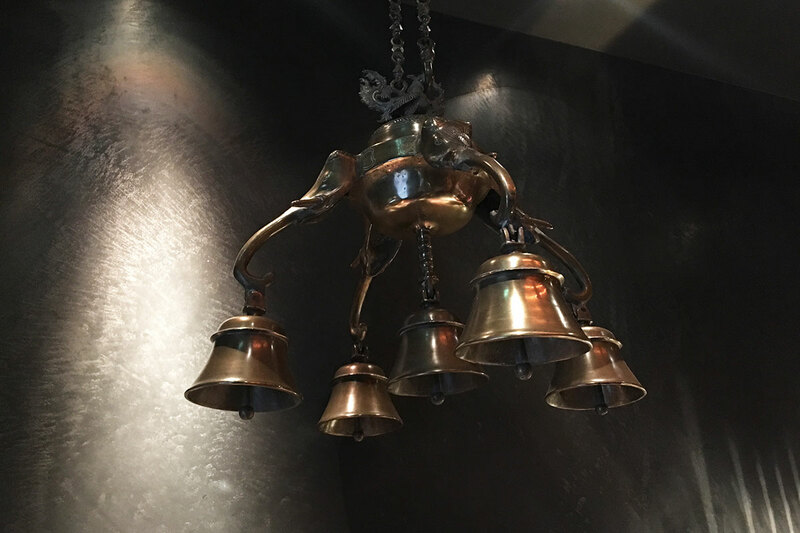 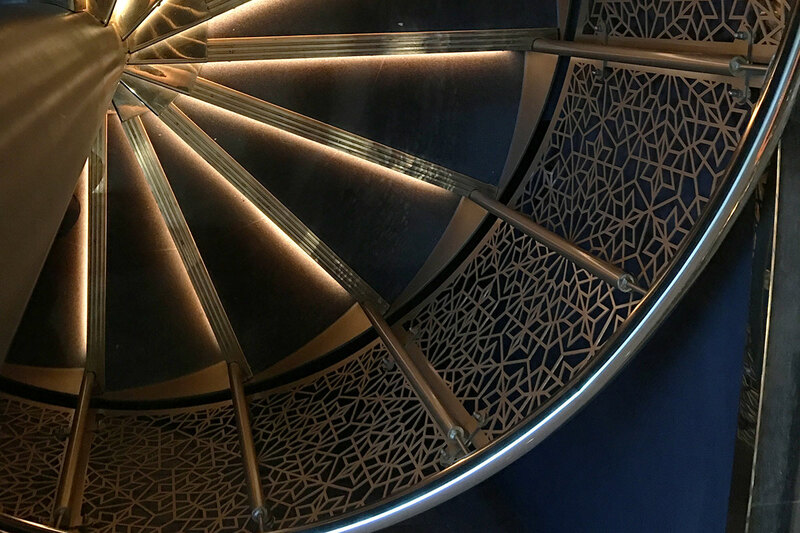 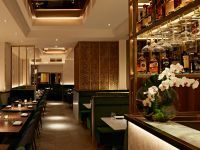 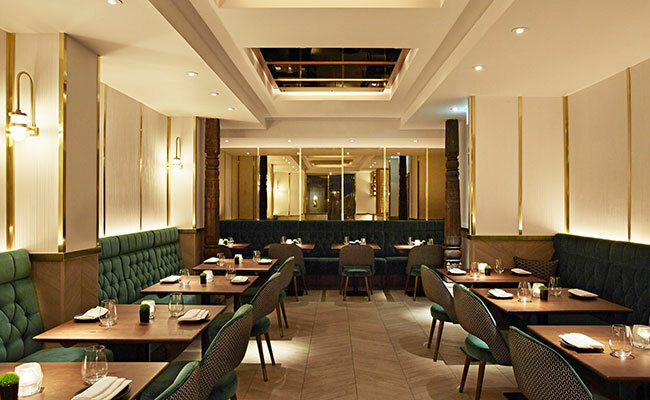 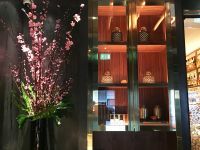 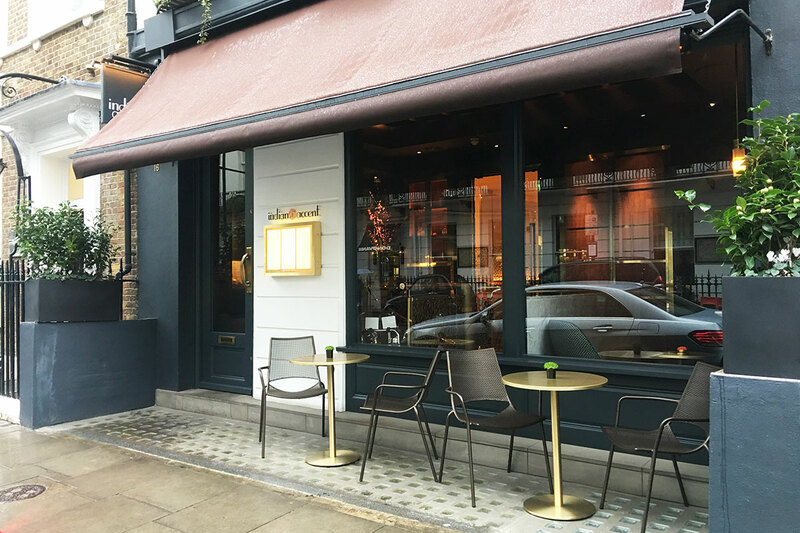 Located on Albemarle Street in London’s fashionable Mayfair, Indian Accent is fine dining restaurant serving refined Indian cuisine. 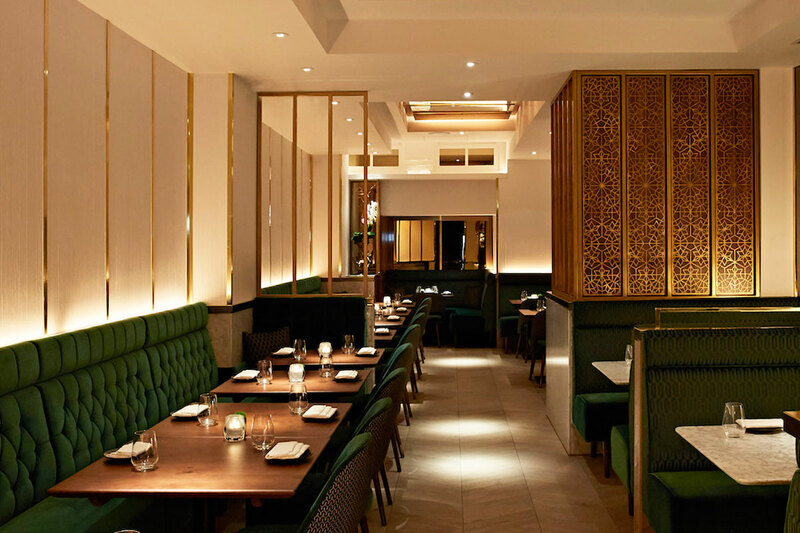 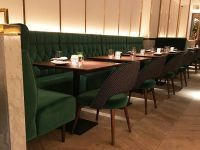 Restaurant Architects used simple material and colour palette of rich green velvets and geometric patterned jail screens often found in traditional Indian architecture. 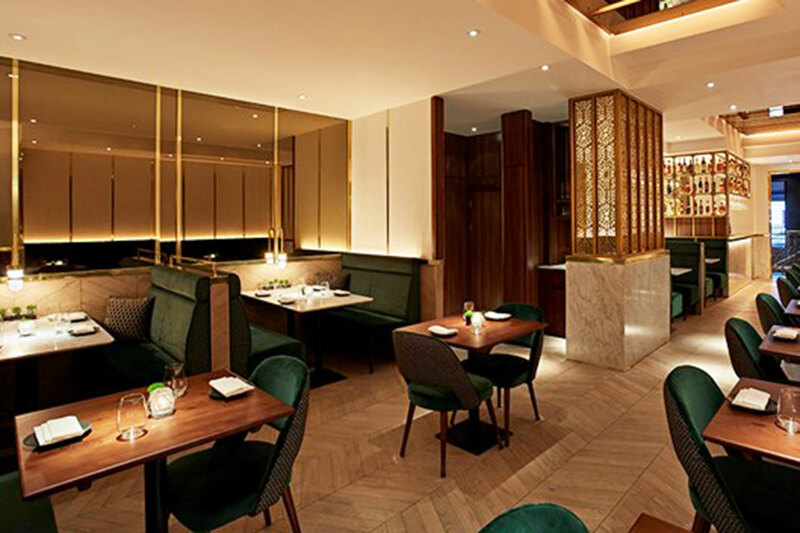 Simple dark grey painted exterior conceals two floors of fine dining restaurant where chef-owner Manish Mehrotra creations can be sampled. 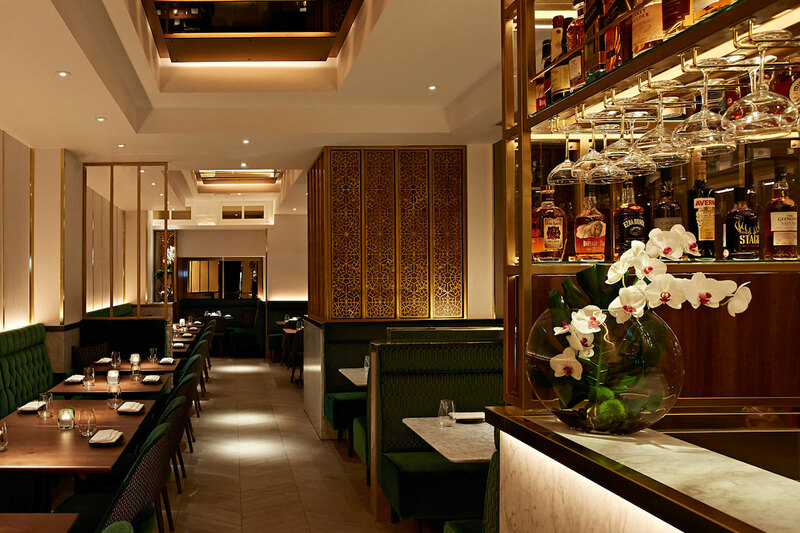 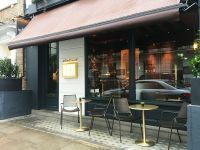 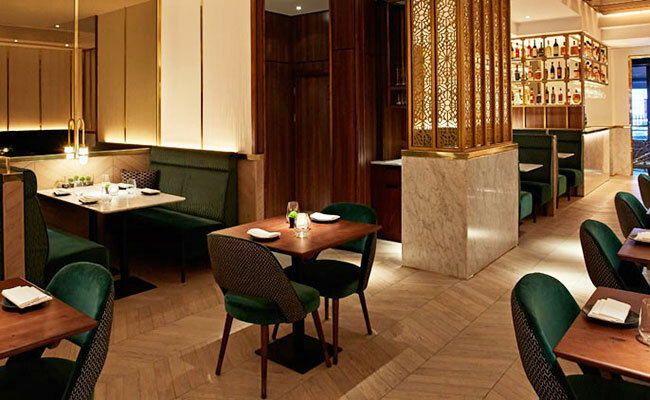 Indian Accent in London is a sister to two restaurants by the same name in New Delhi and New York. 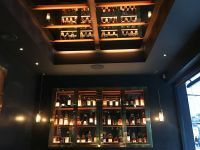 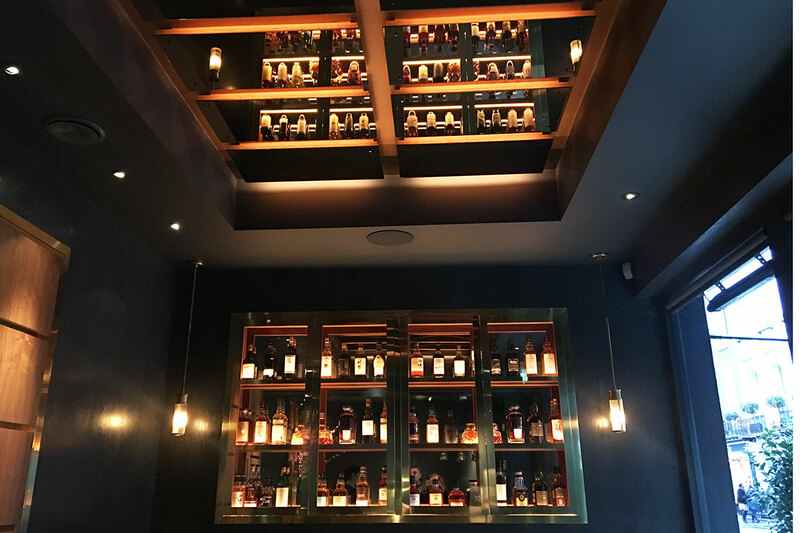 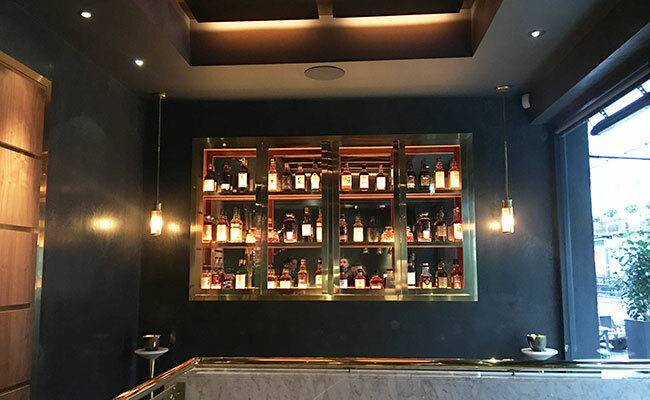 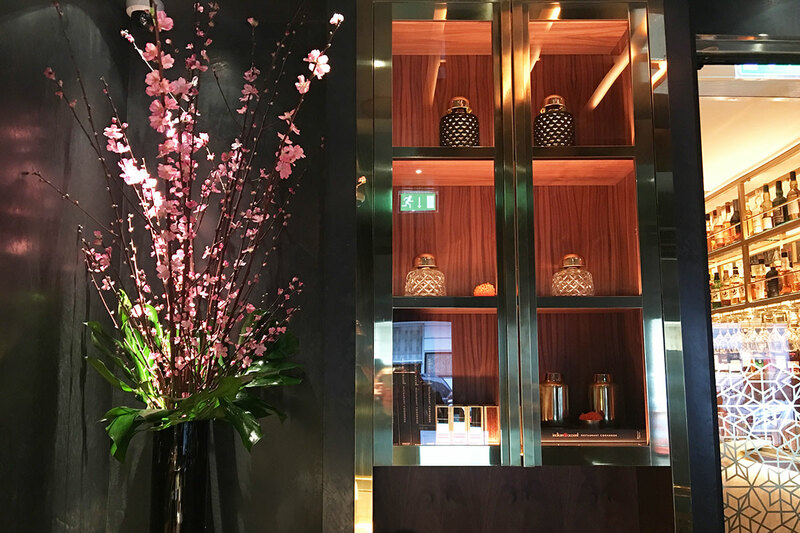 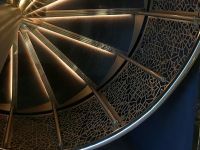 Upon entering the Indian accent restaurant, Blenheim Designers were pleasantly surprised to discover moody dimly lit lobby offering glimpse into the main restaurant and proudly displaying selection on honey coloured whiskeys inside an illuminated cabinet. 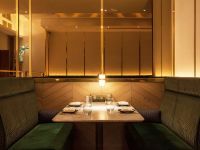 Indian Accent Architects used strategically positioned brass edged bronze mirrors to give lofty feel to otherwise very narrow space. 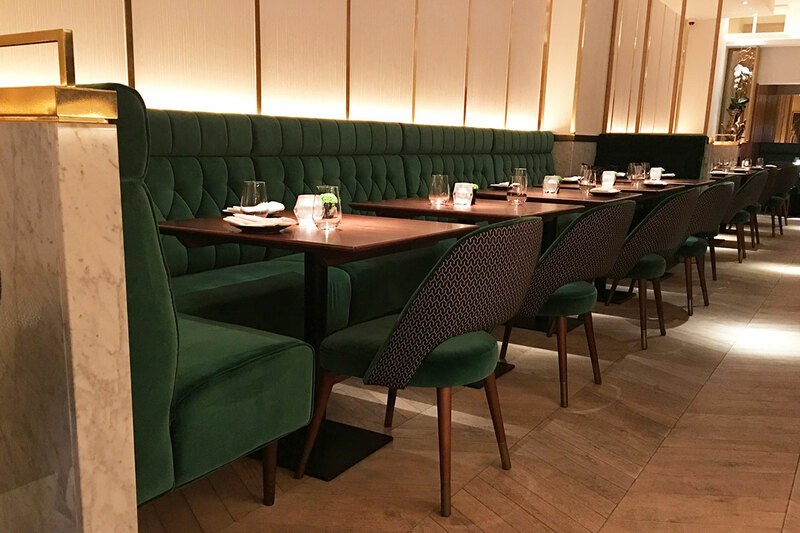 The dining area combines green velvet with geometric patterned headrest sitting against pale natural stone capped off using polished brass. 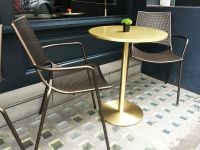 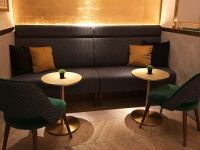 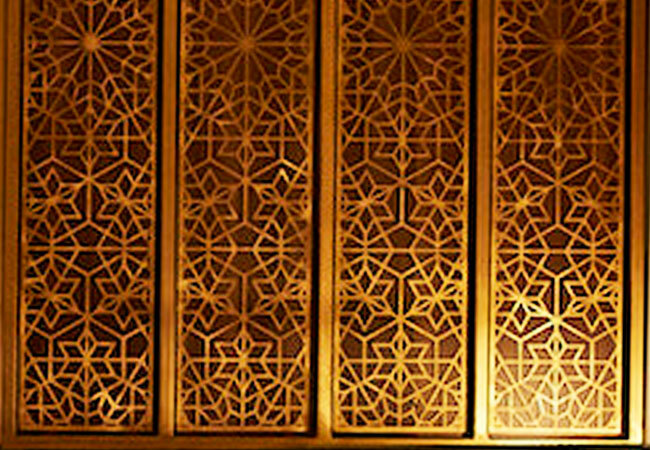 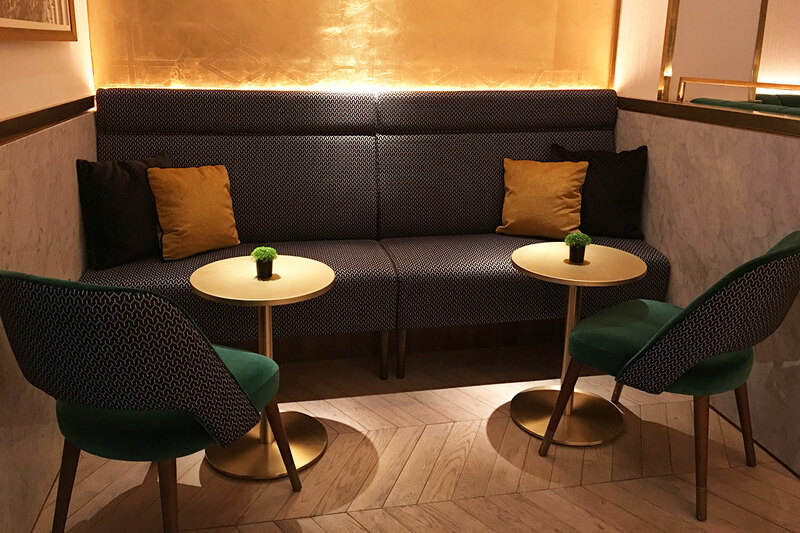 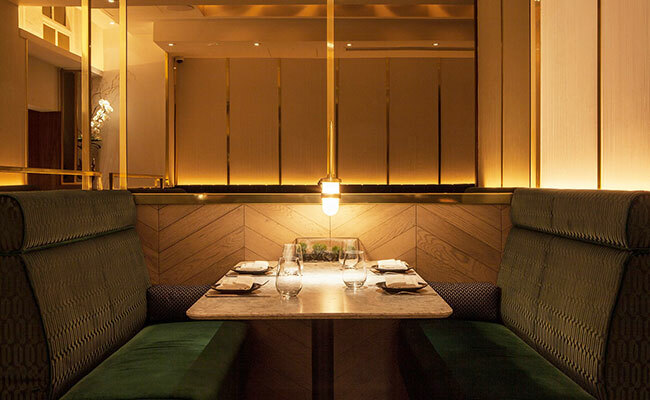 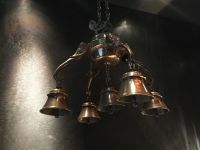 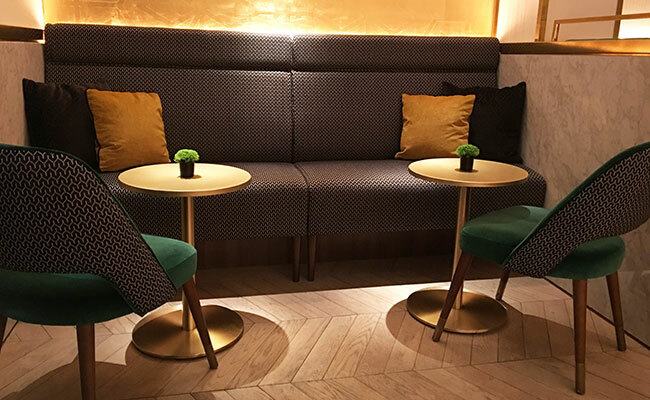 A touch of intimate class is brought to booth tables through a polished brass wall light sitting inches off the table. 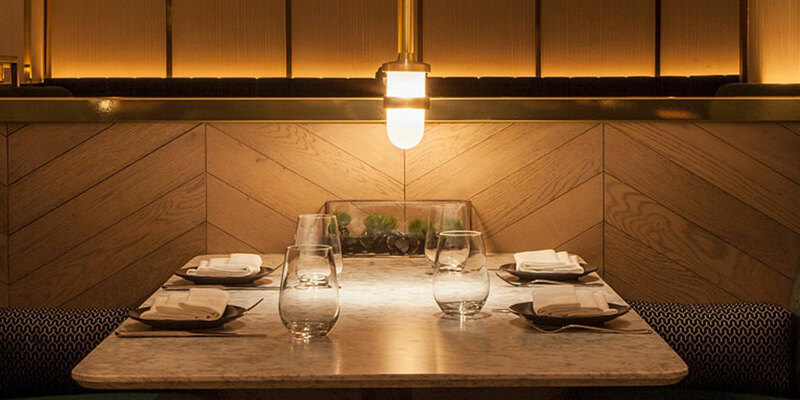 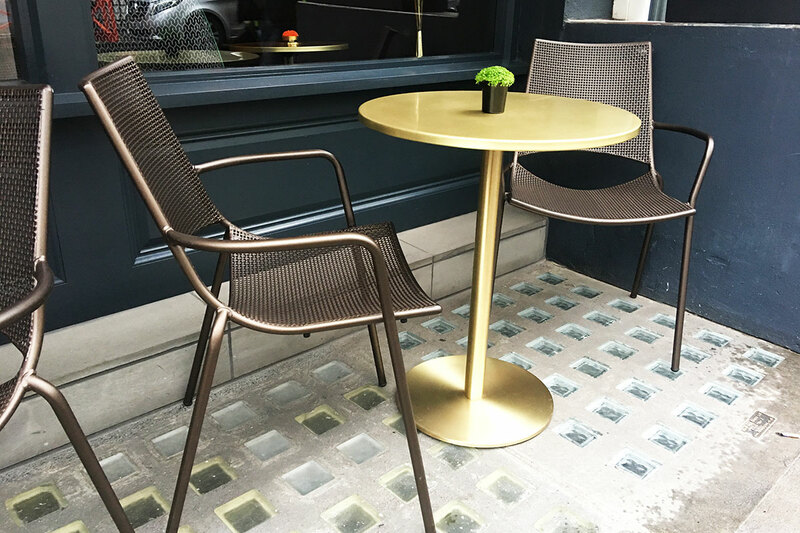 Bar is a simple yet elegant marble bar with brass gantry and timber screen protecting diners. 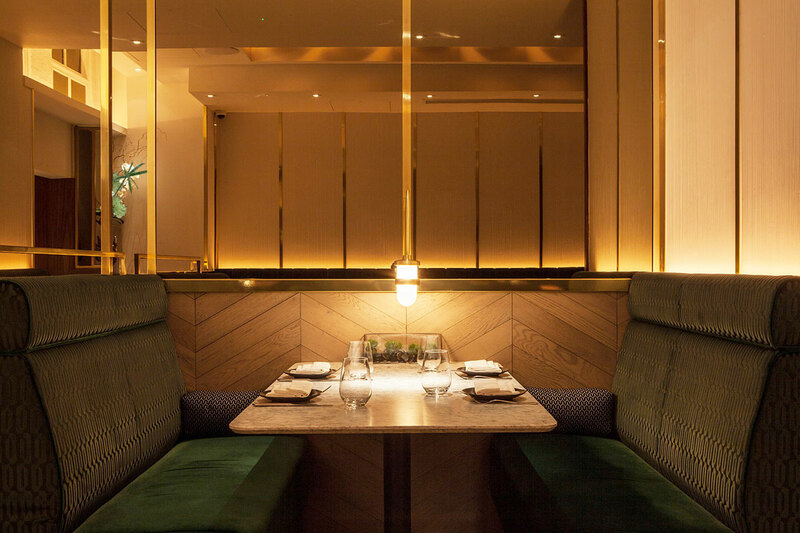 Blenheim Design really loved some of the opulent details in this restaurant and bar, from the indirect lighting against stone walls reflecting in the tinted mirrors to the brass wall lamps dotted around the interior.